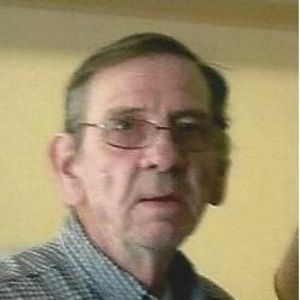 CENTRAL CITY- Philip Ray Barton, 73, of Central City died Friday, January 22, 2016 at 6:16 PM at his residence. Mr. Barton was born March 25, 1942 in Metcalfe County. Mr. Barton was a lineman for Comcast Cable and a veteran of the United States Marine Corps. Survivors include his wife, Mary Jane Barton; sons, Jack Higgs, Todd Radford, Richard Smith, Charles Smith, Curtis Smith; daughters, Lori Locke, Tracie Neal, Terri Wilson; 21 grandchildren; 13 great-grandchildren; sisters, Barbara Pedigo, Lugene Jesse, Naomi Burris. Funeral Services will be held, Tuesday, January 26, 2016 at 1:00 PM at Butler Funeral Home in Edmonton, KY. Burial will be in Liberty Cemetery in Metcalfe County. Visitation will be held, Sunday, January 24, 2016 at 5:00 PM at Tucker Funeral Home in Central City, and January 25, 2016 at 4:00 PM for family and 5:00 PM for friends at Butler Funeral Home in Edmonton. 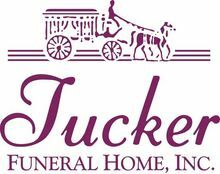 Online condolence can be made at www.tuckerfuneralhomes.com. The beautiful and interactive Eternal Tribute tells Philip 's life story the way it deserves to be told in words, pictures and video. Rest In Peace Mr. Barton. Our Country owes you a gratitude of THANKS for your service as a United States Marine. You served this great country to protect the values and freedoms we all enjoy. Thank You Marine. Semper Fi Brother. So sorry to hear of Phillip passing. Some good memories. Will never forget when he taught me how to shuck oysters.....Prayers for friends and family. and the United States Marine Corps; We extend our appreciation and gratitude for his service to God, Country, and Corps. Semper Fi, The Marines of Detachment #804.